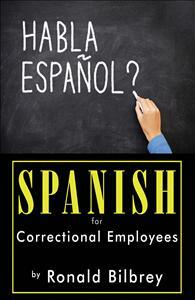 Spanish for Correctional Employees has everything you need to learn Spanish. Each chapter covers a distinct prison department that includes nouns, verbs, expressions, and answer key. Simple and effective. From start to finish, Spanish for Correctional Employees focuses on real-life verbs, nouns, and phrases used every day in a prison setting. The Spanish questions and answer key for each chapter allow correctional employees to practice real time conversations. The Spanish commands are useful in everyday situations that arise in prison. Chapters are organized so words and phrases can be found easily. Each chapter builds new vocabulary, explains a new language, and reinforces the concept that is being taught. There is no faster way for correctional employees to learn Spanish!